More things are the main player requests after several months of playing Minecraft PE. Everyone, sooner or later, comes to the fact that the game has become boring, you know all the items in your inventory as yourself and you definitely want to try some new sword or find something valuable. 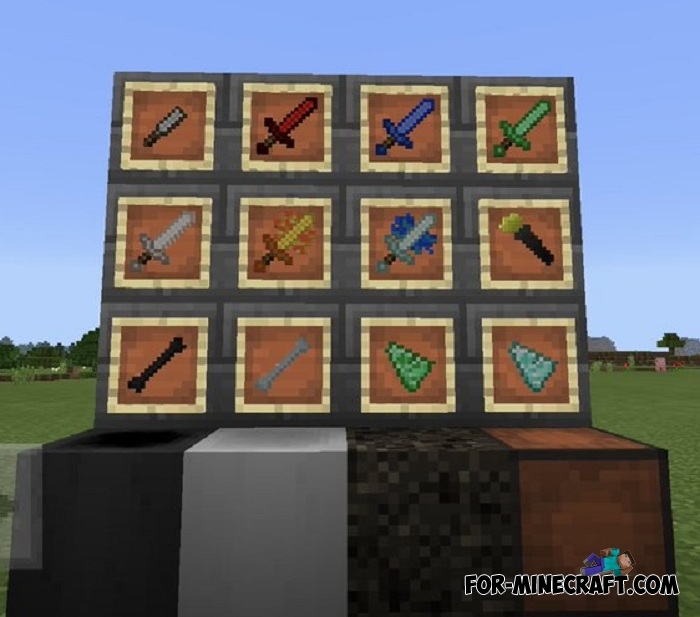 AdvancedMinecraft introduces many new items, most of which are related to weapons and gems. In terms of survival, the game will remain the same and you can continue to count the days gone by and get carried away by collecting resources and battling with mobs. The only important point is the new swords possessing new properties. They consist of vanilla components and complement the standard set of swords. Collect gems to craft new weapons or go to a village to new villagers. They trade everything that is contained in the addon. 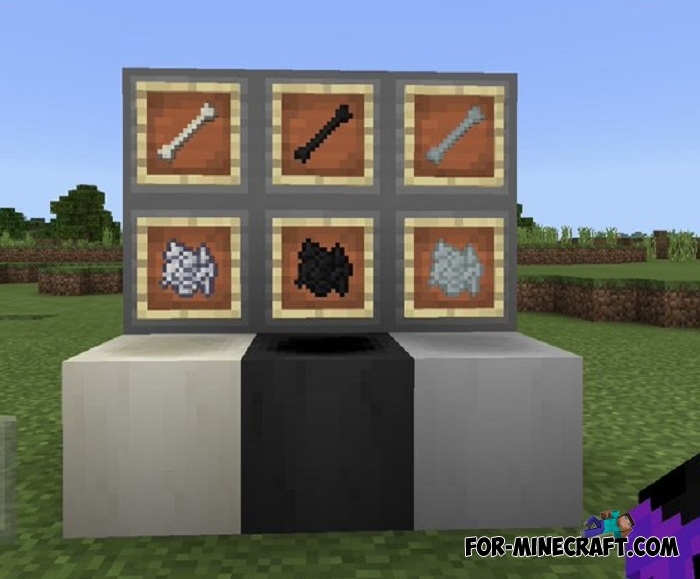 Also the AdvancedMinecraft addon stores several other items and blocks you will learn about in the game.